FOUR MILLION COPIES SOLD. In 40 languages. One of the most thrilling series of our time. 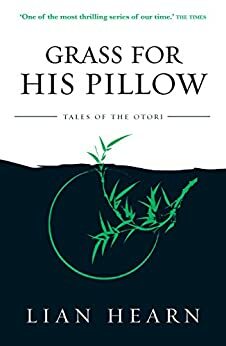 Enter the feudal world of the Otori - filled with magic, treachery and intrigue - inspired by medieval Japan and created by acclaimed Australian author, Lian Hearn. In the ancient lands of the Otori, in a time of war and famine, the fate of the young lovers Otori Takeo and Shirakawa Kaede hangs in the balance. Takeo, heir to the great Otori clan, has pledged his life to the secret Tribe. To follow their brutal directions and become their most deadly assassin he must deny the spiritual vows of his peaceful upbringing, his birthright of wealth, land and power - and his love for Kaede. If he turns his back on the Tribe they will kill him. Forced to take a path that leads him to extreme danger Takeo grows from boy to man. Kaede, heiress to vast lands, is now the valuable pawn of ruthless warlords. She must use her intelligence, beauty and cunning to assert her place in a world of all-powerful men - who must never suspect the dangerous secret she hides. INCLUDES an extract from BRILLIANCE OF THE MOON PLUS three chapters of EMPEROR OF THE EIGHT ISLANDS, the first novel in Lian Hearn's spellbinding new Tale of Shikanoko series. I read this book in one sitting ...simply cannot wait to see what happens next. This is such a powerful story of the life of the Japanese in the time of the Samurai - and how power and control masked as honour. Throughout this book we see kindness and compassion trying to make it's way through ruthless, elitist, controlling and powerful alliances all aimed to destroy it. The best of human nature (the minority) is destroyed as powerful war lords (men) fight for control of the land. The peasants are as nothing in the fight and women are used as barter by their families to build alliances. It is unhelpful in this environment not to be beautiful and compliant. The women are also pitted against one another as they vie for position for their children. There is no second place. This is a story also of the women who dared to be warriors and who died doing so. It is a story of deception, of hate and of power and control. It is also a story of passion and of deep and unbroken friendships. It is a story that rocks between war, death and cultural elitism to families, love and deep spirituality. This a fascinating look into a culture, the outcomes of how we are socialised as people and the best and worst of humanity. To enjoy this book to the maximum, I recommend first read 'Across The Nightingale Floor'. I am thankful to my son who gave me this series to read when it was part of his English reading criteria as year ten student. I am hooked and that doesn't happen often. 4.0 out of 5 starsExcellent!!! This was a great read!!! Flowed really well from the first book and set up for the next!! I couldn't put the book down and found it exciting and full of drama!! The story just keep building and getting better and the characters are excellent!! My only negative critique is that the author never uses page breaks or at times does not clearly divide thoughts between paragraphs which makes it sometimes confusing and an overload at times to read. I'd recommend this series to anyone!! Wonderful fragile beauty every step of the way. It has reminded me all all the things I believed before this life took over. Never let it be spoiled by allowing people to make it into a film, all would be lost in the gross money making machine. The 2nd book in the series is just as riveting as the first. You wont want to put this book down. Very good story, well written and compelling. Have to read the next installment now.